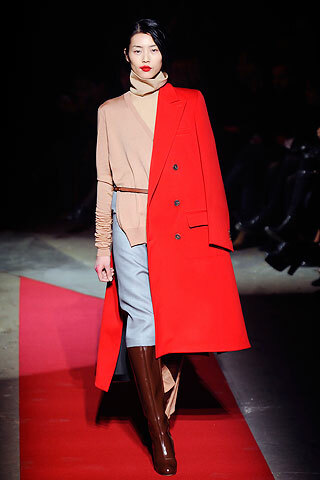 This Fall, RED makes a statement paired with translucent beige, black, blush and periwinkle blue. As icy neutrals become a huge trend for Fall, it seems right to throw in Red as a pop color. Some of our favorites such as Margiela, Stella and Givenchy were leaders in this combination with Nicholas Kirkwood’s shoe for Rodarte as the ultimate muse for this new color palette. Keep the combination fresh by pairing with camel shoes and accessories. Lucite and crystal jewelry would be amazing as an accent while black tights can be paired with combinations for a sharp contrast.